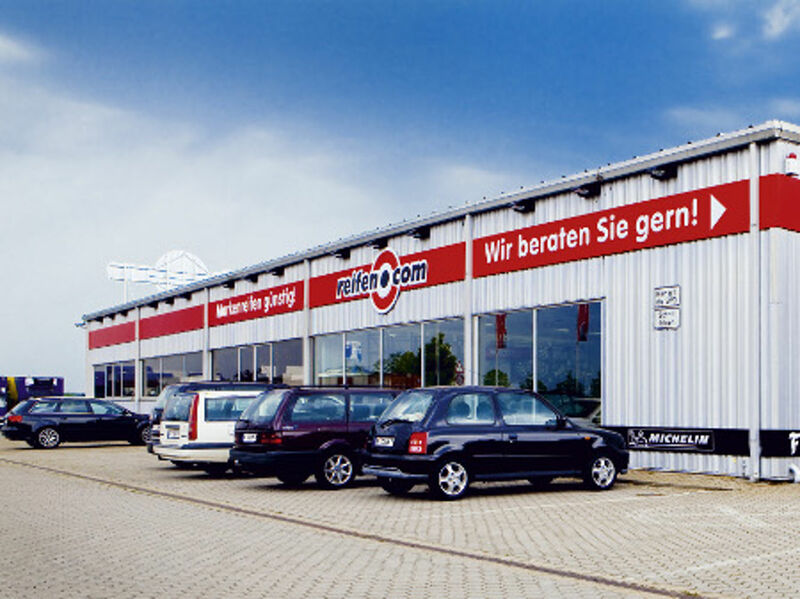 Always at the same place at Sigmundstraße, you our reifencom GmbH has been in Nuremberg-Höfen for over 10 years already. As a tyre trader we do not only want to offer the fitting of tyres or to focus on the sale only. We pay attention to the complete package in our branch. This consists of consultation, sale and fitting. Three salespersons who have all worked in the tyre trade for many years already are available for the consultation and sale alone. Therefore our employees can support you best in choosing thefitting rims and tyres within the tyre and rim exhibition. The sales room with the rim exhibition has a size of 150 square meters and constantly exhibits more than 100 rims. 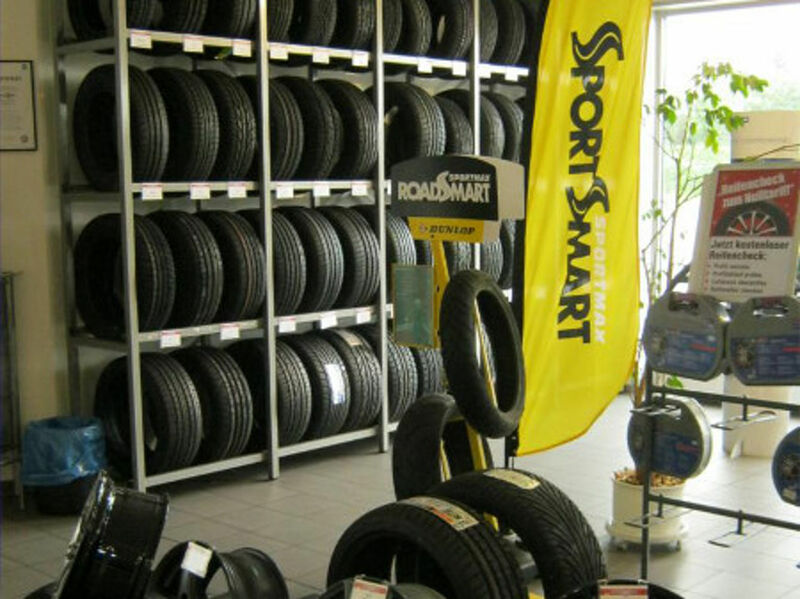 Next to the sale, including consultation, of rims and tyres we offer the fitting of passenger car and motorcycle tyres. For that we permanently employ four fitters who are not only from the motor vehicle area but also undergo further training constantly. Lately our fitters have had training about tyre pressure monitoring systems. During the autumn and spring months we refer to further fitters to enable you to have short waiting times if possible. The short waiting times are also due to our equipment, of course. There are four lifting platforms in our workshops, and we further have a motorcycle platform on which we carry out the tyre fitting on motorcycles including dismounting the tyres. The tyre dismounting on motorcycle is possible for most of the motorcycle models in our branch. For the wheel alignment even motor vehicle dealers come back to our service to guarantee the best results. 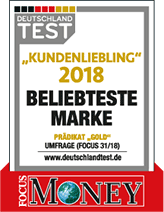 If you need to register your new rims, you can make an appointment with TÜV (German MOT) which takes place directly next to our reifen.com branch. Of course you can also get run flat tyres at our place, and we can mount them also. 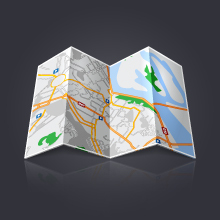 We are directly in the industrial park in Nuremberg-Höfen. Take the south-west tangent (Südwesttangente) to Rothenburger Straße and exit at Sigmundstraße. Alternatively you can reach us via the Frankenschnellweg N4. Here is also a direct connection to Sigmundstraße. 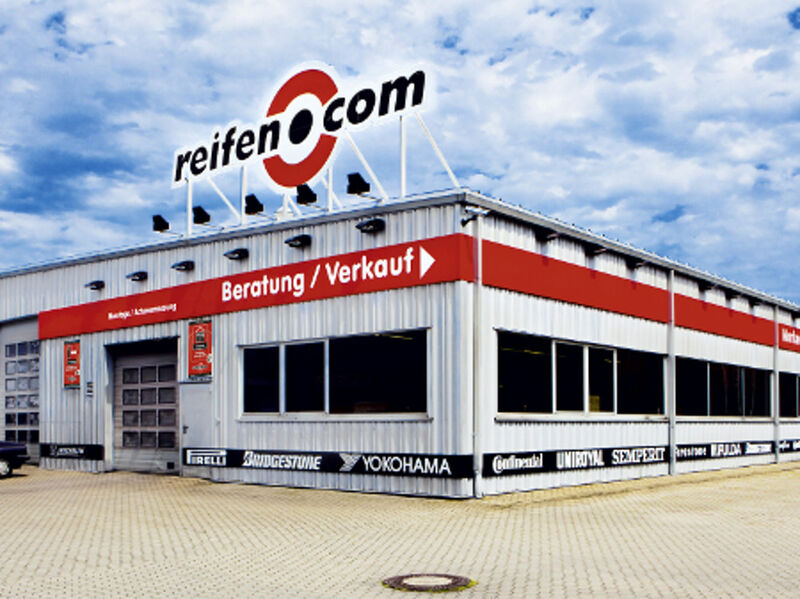 We have a further reifen.com branch in Nuremberg Langwasser. Visit us today or make an appointment for a tyre change with us directly.